Several of the kiosks do not even have security guards, posing a threat to the safety of customers. 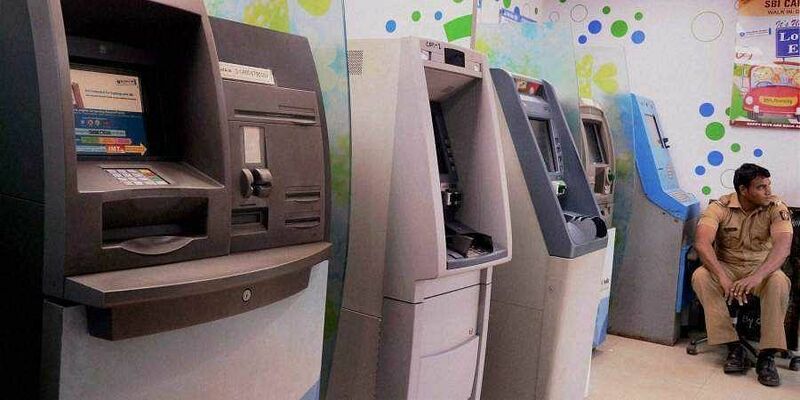 KOZHIKODE: Despite repeated directives to the banks to set right the security flaws and strengthen the surveillance mechanism at the ATM kiosks, a sizeable majority of them continue to lack even basic security measures. Several of the kiosks do not even have security guards, posing a threat to the safety of customers. Though many ATM kiosks have CCTV cameras installed inside, there is no mechanism in place to capture the premises. The situation is really scary while drawing cash from ATMs at night, especially those situated in deserted areas. According to data available, around 300 ATMs are functioning in the city and its outskirts. Following a spurt in ATM skimming cases at the turn of the year, police checks at the ATM kiosks here found in more than 20 places there were no anti-skimming security which make them sitting ducks for skimmers. In its wake, an emergency meeting of bankers was convened by the police and told explicitly to keep their end of the bargain. However, there has been little follow-up action in this regard, said officers and bankers. “Following the rise in the number of heists and attempted heists, the banks were expected to shell out funds to install a security mechanism, apart from using CCTVs and deploying security guards. But, the fact is the security aspect is yet to be taken seriously, “ said a senior banker on condition of anonymity. Assistant Commissioner of Police (Kozhikode North) E P Prithvirajan said, “ We have been reminding banks every now and then to step up ATM security by appointing trained guards, install more cameras and security alarms.”In the wake of serial ATM thefts reported from other districts in the state, the police is planning to convene a bankers’ meeting urgently to review the steps to strengthen security measures at ATM kiosks.